Most key gauges of risk assets, like the S&P 500 or other major global stock indexes, are near decade highs. Thanks to unprecedented stimulus actions from the US, EU, and Japan, they have held on within 10% of these highs (about 1550 on the S&P 500 for example) for most of 2012 despite mostly dismal fundamentals. As we argued in our 4 part overview of 2013 forecasts, one’s outlook for 2013 depends on whether you believe markets can continue being propped up artificially by assorted stimulus programs comprised mostly of deficit spending with printed money. As noted in section 6 below, it’s not clear. In the above 4 part series we argued that one should not fight a central bank action of this magnitude. That means you don’t open any long term shorts until you’ve evidence of a technical breakdown. But does it still pay to open new long positions? The short answer is probably not, as we’ll discuss in the conclusions section below. Here’s our latest collection of evidence that markets are seriously overbought, and some ideas on what to do to protect yourself and profit. The world bank cut global growth forecasts last week. That shouldn’t surprise anyone given that Japan Europe, and the UK are all in recession. China is slowing, and we can expect similar slowing from the other export oriented nations, given that their customers have less to spend. Fridays US UoM consumer sentiment report confirms that the world’s biggest group of consumers isn’t optimistic. No matter what the final deal (or series of temporary deals) on the coming fiscal cliffs and debt ceiling fights, even the most bullish scenario brings at least some kind of tax increases and spending cuts, such as those imposed in the latest fiscal cliff deal, which is expected to cut 1%-1.5% from a US annual GDP that was running just over 2% (versus the average 3.6 % US GDP from 1950-99 and Fed’s original 4.5% forecast for 2012). Future deals are likely to yield similar results – deals that produce some kind of “lesser of evils” scenario in which debt growth slows (but continues to rise) while weak growth gets weaker from the minimal austerity steps taken. From a market cycle perspective, major stock indexes remain near decade highs that most likely mean the end of a bull cycle within a longer term secular bear market. See here for details. History suggests current conditions mean the next move is down, at least 10%, possibly in excess of 20%. In a note to clients, Societe Generale’s bearish strategist Albert Edwards noted that “U.S. S&P rally from low looks spookily similar to 2007,” saying that the S&P 500 is exactly 807 points above its March 2009 low of 666. From its 2002 low to its 2007 high, the S&P 500 moved exactly 807 points. Housing has improved, but only a bit compared to its peak just over 6 years ago. It’s still way below that level (me: or even averages of the past decade). Stocks overall flat for over a decade: The 120 % rally since 2009 only brings leading indexes back to their 1999 level, and we’re still a bit below the 2000 and 2007 highs. The secular bear remains intact. As we noted above, US and global growth is stagnant, and US growth is likely to slow given even relatively minimal new efforts to make slow deficit growth. Since the start of QE3, or QE-infinity there’s been no meaningful improvement in stock prices, employment, or wages. He adds (along with most other analysts)that central bank intervention is unsustainable and (as suggested above) both US and global economies are expected to be flat to lower for the year ahead, and that he sees no compelling fundamental reasons that risk assets should make another sustained break higher. Per Lee, the picture is potentially bleaker, who see’s the S&P 500 (and by extension other risk assets making a similar drop) reverting back down to its long term uptrend line, meaning it’s due for a roughly 50% drop in the coming years to around 750 – 850 per his long term studies dating back to the 1800s. See here for the full article and some disturbing charts. As we wrote last week here, the widespread notion that EU crisis risk is over, aided and abetted by EU officials, is arguably 2012’s biggest lie and 2013’s biggest risk. In addition to what we’ve said earlier about how nothing of note has improved in the EU (except its ability to provide some short term liquidity) and that instead there is every reason to believe things are fundamentally worse, we already have news this past week that yet another warning, this time via the IMF, of more haircuts for Greek bondholders. There are more optimistic views from those who deserve to be taken very seriously. Regarding the US, Goldman Sach’s to economist Jan Hatzius sees 9 bullish reasons to believe US markets don’t become unglued in the first half of 2013, and then see modest increase in growth in the second half. Note however, that his positive outlook for the second half depends on two positive outcomes, neither of which is assured. The recent and future fiscal cliff and debt ceiling deals don’t cause real income growth to go negative on a year-over-year basis. Whenever that has happened there has been a recession. He acknowledges it could happen but believes the likelihood is that it doesn’t. See here for the full article. The current calm about the EU crisis continues. He believes (me too) that the EU crisis has been the prime market driver for the US since mid 2011. See here for details and supporting chart. Based on her view of past patterns and trading ranges, BofA/ML’s technical analyst Mary Ann Bartels, sees a possible 10-15% correction in 2013 (well within the range of a normal technical pullback)as a multi-year low and start of the next leg higher of about 500 points or more on the S&P 500. In our 2013 forecast survey we also mentioned that markets were overbought, and the above mostly just expands on that idea. Believe In Stimulus Until Evidence Suggests Otherwise – For Now: That means we don’t yet establish long term shorts until per our technical criteria the uptrend hasn’t just stopped but has likely reversed. Prepare For Currency Debasement: Can’t repeat that enough, because so many still don’t get it. 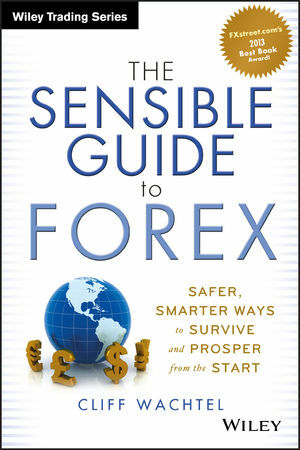 See here for the best collection of safer, simpler ways to do that than commonly found in guides on currency or overseas investing. For New Long Positions – Wait For The Pullback: We prefer to enter positions in stages. For example, a third of our position at pullbacks of 7%, 14%, and 21%. The Biggest 2013 Risk: EU Sovereign Debt & Banking Insolvency Risk Not Priced In. See here for our recent in depth look at this. See Part 4 of our 2013 forecast survey for details on these recommendations.